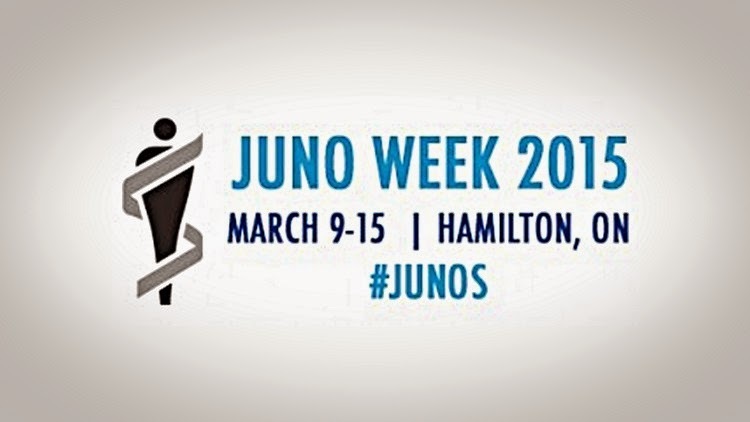 The nominees for the 2015 JUNO Awards were announced by The Canadian Academy of Recording Arts and Sciences (CARAS) at a press conference at The Danforth Music Hall in Toronto this morning, as Canada's top artists now get ready for a trip to JUNO Week in Hamilton, March 9 – March 15, 2015. Magic! garnered a leading five nominations: JUNO Fan Choice, Single of the Year, Breakthrough Group of the Year, Songwriter of the Year, Pop Album of the Year. Close behind with four nods were Kiesza (Single of the Year, Breakthrough Artist of the Year, Dance Recording of the Year, Video of the Year) and Leonard Cohen (JUNO Fan Choice, Album of the Year, Artist of the Year, Adult Alternative Album of the Year). Artists with three nods each are Hedley (JUNO Fan Choice, Single of the Year, Album of the Year), Nickelback (JUNO Fan Choice, Album of the Year, Group of the Year), and Serge Fiori (JUNO Fan Choice, Album of the Year, Francophone Album of the Year). The International 3D and Advanced Imaging Society today announced its top nominated 3D features - Live Action and Animation, as well as the 2D to 3D Conversion categories were voted on by the International 3D Society's members for the 2015 Creative Arts Awards Ceremony to be held January 28th at Warner Bros. Studios. The top live action nominees include Captain America: The Winter Soldier (Marvel/Disney), Dawn of the Planet of the Apes (20th Century Fox), Exodus: Gods and Kings (20th Century Fox), Guardians of the Galaxy (Marvel/Disney), Maleficent, (The Walt Disney Studios), Noah (Fox/Paramount), Teenage Mutant Ninja Turtles (Paramount Pictures), The Amazing Spider-Man 2 (Sony Pictures Entertainment), The Hobbit: The Battle of Five Armies (Warner Bros./New Line), Transformers: Age of Extinction (Paramount Pictures), and X-Men: Days of Future Past, (20th Century Fox). Like his cult-cinema contemporaries Peter Jackson and Sam Raimi, Spanish maverick Álex de la Iglesia began his career as an anarchic purveyor of high-grade schlock splashing his every fluid-drenched fever dream across the screen, before achieving international recognition as a bona fide festival-feted auteur. The endorsement and mentorship of Pedro Almodóvar helped in this regard, immediately placing the former comic-book artist on the critical radar and garnering Goya Awards (Spain’s Oscars) for even some of his earliest and strangest work. While his work has grown in scope and ambition, de la Iglesia has never surrendered or compromised his unique vision: his films are as strange and transgressive as ever, his sense of humour every bit as dark, biting and absurd. In this sense, de la Iglesia shares much with Canada’s own purveyor of the peculiar and the perverse David Cronenberg: both filmmakers have forced the film world to adapt to them rather than the other way around. The Motion Picture Sound Editors have announced the nominations in 20 categories for its 62nd MPSE Golden Reel Awards, honouring the best feature film, television, animation and computer entertainment work of the year. Today, the Visual Effects Society (VES), the industry’s professional global honorary society, announced the nominees for the 13th Annual VES Awards, the prestigious yearly celebration that recognizes outstanding visual effects artistry and innovation in film, animation, television, commercials and video games and the VFX supervisors, VFX producers and hands-on-the-keys artists who bring this work to life. Nominees were selected by VES members via events hosted by its nine sections – Australia, Bay Area, London, Los Angeles, Montreal, New York, New Zealand, Toronto and Vancouver. The VES Awards will be held on February 4th at the Beverly Hilton Hotel. As previously announced, the Visionary Award will be presented to J.J. Abrams, award-winning director-producer- writer. (Note: Due to a change in his production schedule, Ridley Scott will unfortunately not be presented with the Lifetime Achievement Award at this time; we look forward to honoring him in the future for his enormous contributions to filmed entertainment). Directors Guild of America President Paris Barclay today announced the five nominees for the DGA Award for Outstanding Directorial Achievement in Feature Film for 2014. The Cinema Audio Society announces the nominees for the 51st Annual CAS Awards for Outstanding Achievement in Sound Mixing for 2014 in six categories and the CAS Technical Achievement Award Nominations. Final balloting for both the Outstanding Sound Mixing and the CAS Technical Achievement Awards will open online Wednesday January 21st and end Friday, February 6th. The Hollywood Foreign Press Association held the gala ceremony for their 72nd annual Golden Globe Awards tonight in the Beverly Hills hotel. Tina Fey and Amy Poehler hosted again for their third (and they say final) time in a row. The night's big winner was Richard Linklater's Boyhood. It won for Best Motion Picture - Drama, as well as for Best Director. Patricia Arquette picked up the prize for Best Supporting Actress for her role as Mason's mother Olivia. 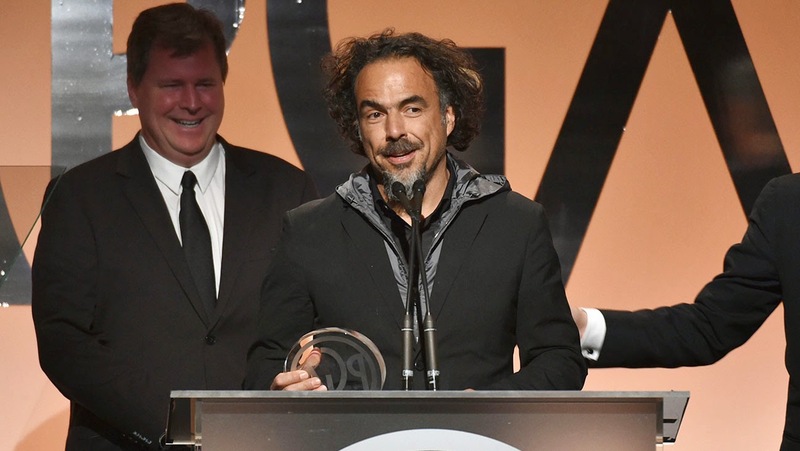 Alejandro Gonzalez Inarritu's Birdman was a double winner for Best Screenplay and Best Actor (Michael Keaton). James Marsh's The Theory of Everything also won twice. It picked up the awards for Best Original Score (Jóhann Jóhannsson) and Best Actor Drama (Eddie Redmayne). The Make-Up Artists and Hair Stylists Guild today announced nominations in 19 categories honoring make-up artists and hair stylists outstanding achievements in motion pictures, television, commercials and live theater. President Sue Cabral-Ebert announced the nominations. Winners will be revealed during the black-tie 2015 Annual MUAHS Guild Awards ceremony taking place on Saturday, February 14, 2015 at Paramount Studios. The MUAHS Awards after-party is courtesy of M.A.C. Cosmetics. Spirits presented will be presented by Patron Tequila. "We are so excited to receive a record number of entries for our crafts from all over the world," said Cabral-Ebert. "The response and enthusiasm of the entertainment community was remarkable. Thanks to our dedicated committee who viewed all the submissions and made very tough choices. We are proud of our talented nominees and the work that was submitted this year representing the finest of our craft." ACTRA Toronto announces the nominees for the 13th Annual ACTRA Awards in Toronto. 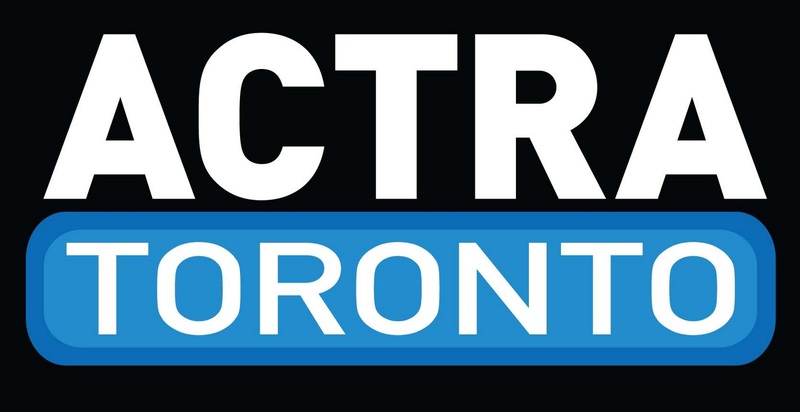 The ACTRA Awards in Toronto will take place at the Carlu on Friday, February 20, 2015. "The value of these artists is immeasurable, except it isn't," says David Sparrow, President of ACTRA Toronto. "Performers of this calibre add real artistic and commercial value to these films and television shows and we're so proud they are part of our union community." Tantoo Cardinal will be presented with ACTRA Toronto's 2015 Award of Excellence at the live show and party this year. The Award of Excellence recognizes an exceptional body of work and a commitment to advocacy on behalf of all performers. Jamie Jones will be honoured with the ACTRA Toronto Stunt Award. The show will be hosted by Arisa Cox, with musical entertainment by God Made Me Funky. The Writers Guild of America, West (WGAW) and the Writers Guild of America, East (WGAE) have announced nominations for outstanding achievement in writing for the screen during 2014. 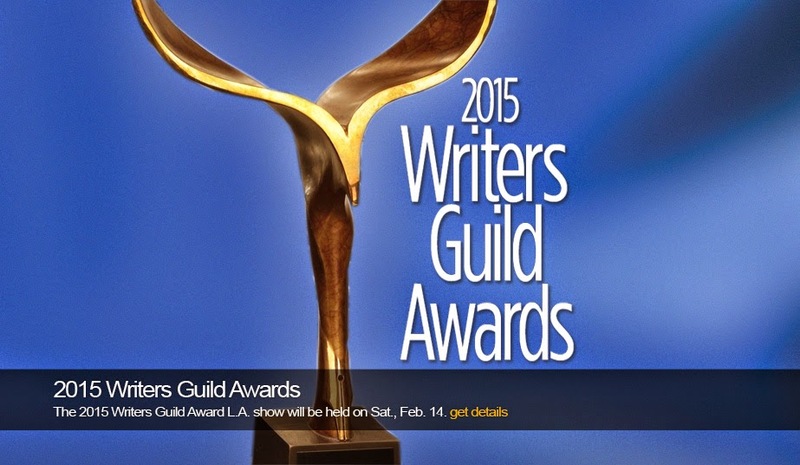 Winners will be honored at the 2015 Writers Guild Awards on Saturday, February 14, 2015, at simultaneous ceremonies in Los Angeles and New York City. Feature films eligible for a Writers Guild Award were exhibited theatrically for at least one week in Los Angeles during 2014 and were written under the WGA’s Minimum Basic Agreement (MBA) or under a bona fide collective bargaining agreement of the Writers Guild of Canada, Writers Guild of Great Britain, Irish Playwrights & Screenwriters Guild, or the New Zealand Writers Guild. 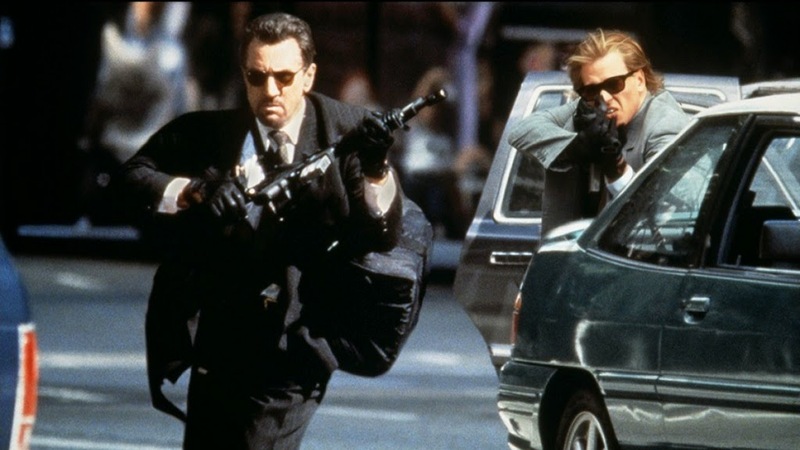 Theatrical screenplays produced under the jurisdiction of the WGA or an affiliate Guild must have been submitted for Writers Guild Awards consideration. Documentaries eligible for a Writers Guild Award featured an onscreen writing credit and were exhibited theatrically in Los Angeles or New York for one week during 2014. Theatrical documentaries must have been produced under the jurisdiction of the WGA or an affiliate Guild to be eligible for awards consideration. 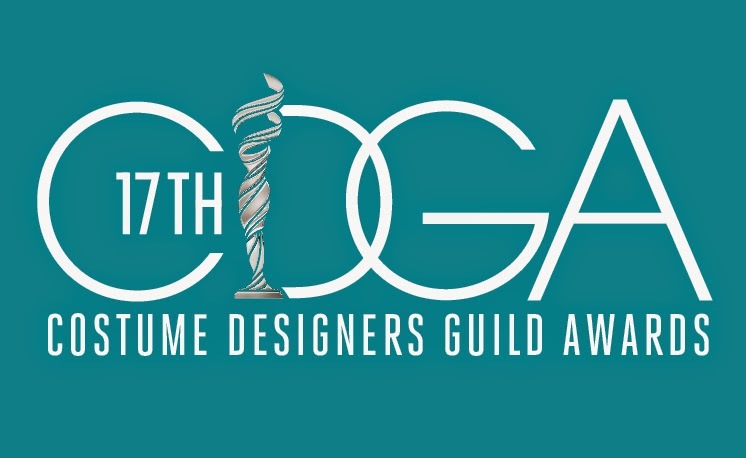 The Costume Designers Guild has announced the full list of nominations for the 17th annual Costume Designers Guild Awards. Nominees include the costume designers for leading awards seasons contenders such as Boyhood, The Imitation Game, Selma and Into the Woods. Producer, director and screenwriter Richard Linklater (who recently collaborated with costume designer Kari Perkins on Boyhood) will receive the Distinguished Collaborator Award in recognition of his support of Costume Design and creative partnerships with Costume Designers. Costume Designer Aggie Guerard Rodgers will be presented with an Honourary Career Achievement Award for her outstanding work in film. The 2015 Edith Head Award for the Advancement of the Art of Costume Design will be presented to costume designer, scholar, and two-term CDG past president, Dr. Deborah Nadoolman Landis, a CDG member and costume design activist for nearly 40 years. The LACOSTE Spotlight Award honouree will be announced in the upcoming weeks. To honour its 40th anniversary, the Toronto International Film Festival (TIFF) will receive the first Academy Legacy Award - for unyielding dedication in bringing international acclaim to Canadian talent in film, television or digital media - it was announced today by Helga Stephenson, CEO, Academy of Canadian Cinema & Television. "TIFF put Canada on the world stage. It brought Canadian cinema into the international spotlight. It established Toronto as a key date on the festival circuit for players around the globe. The Academy salutes TIFF for its resolute commitment to Canadian cinema," says Stephenson. The Casting Society of America (CSA) has unveiled its feature film nominees for the 30th Annual Artios Awards. Final film ballots have been distributed and votes can be entered at http://www.castingsociety.com/, through Monday, January 12th. 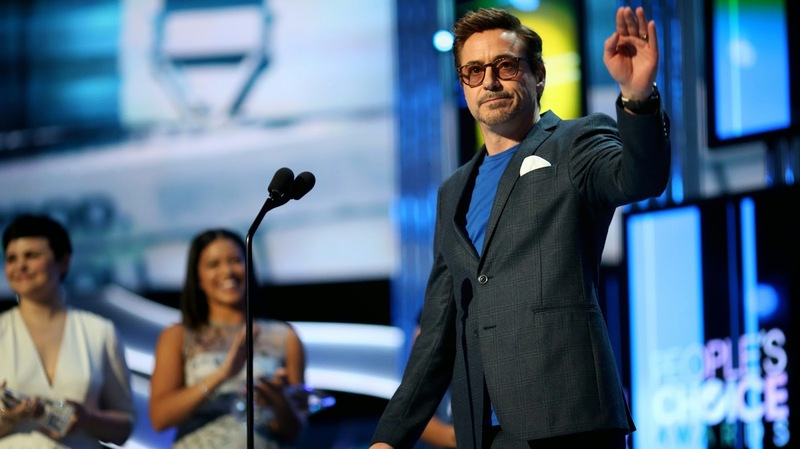 All winners for film, television, theater and new media categories will be announced at the 30th Annual Artios Awards on January 22, 2015, during the height of awards season, with award ceremonies to be held simultaneously at the Beverly Hilton Hotel in Los Angeles (reception will commence at 6:00 p.m. PT) and at 42WEST (formerly XL Nightclub), Cabaret & Lounge (514 West 42nd Street) in New York (reception will commence at 6:00 p.m. ET). The bicoastal awards show will be hosted by Patton Oswalt (Los Angeles) and Michael Urie (New York City). The evening will also honor two-time Academy Award®-nominee Richard Linklater (Boyhood) with the Career Achievement Award; Academy Award®-nominated and Emmy Award®-winning director Rob Marshall (Into the Woods) with the New York Apple Award; and Emmy Award®-winning casting director Ellen Lewis with the Hoyt Bowers Award.